Richard L. Drake, 89, of Sterling, passed away on June 7, 2018. He was born June 27, 1928 in rural Sterling, the son of Homer and Gladys Belden Drake. He graduated from Alden High School with the class of 1946. Richard has been a longtime Sterling resident, formerly of Liberal and Lincoln, Nebraska. He was a farmer and rancher for 20 years and retired truck driver for Yellow Freight. Richard was a member of Alden Baptist Church and a former member of Lions Club of Sterling. On November 24, 1946, Richard was united in marriage with Roberta L.Stout in Alden. She preceded him in death on November 1, 2013. He is also preceded in death by his parents; brothers, Curtis, Francis and Harold Drake; and sister, Agnes Bedient; and infant sister, Phyllis Ann Drake. 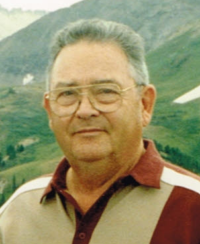 He is survived by his sons, Richard Drake Jr. and Kathy Schroeder of Canton, KS., Rodney Drake of Sacramento, CA., and R. Michael Drake of Stevensville, MI. ; daughters, Rosemary and Larry Yates of Sterling, KS., Radonna Drake and Rick Figger of Glendale, AZ., Richelle Miller and Bob of Philadelphia, PA., Robin McVay and Tyler of Sterling, KS., and Ramona Drake; 11 grandchildren and 19 great grandchildren. Funeral service will be 11:00 A.M., Saturday, June 16, 2018 at United Methodist Church, Alden with Pastor Rob Bolton and Matt Hendricks officiating. A private family committal service will take place at Peace Valley Cemetery prior to the funeral service. Visitation will be from 2:00 to 7:00 P.M., Friday, June 15, 2018 at Birzer Funeral Home, Sterling with family present from 5:00 to 7:00 P.M. In Lieu of flowers, memorials can be made to First Baptist Church, Alden or United Methodist Church, Alden in care of Birzer Funeral Home, Sterling.